With more than fifteen years of successful trading experience company „Alfa Metāls” has become a stable player in the Latvian market of stainless steel and non-ferrous metals. 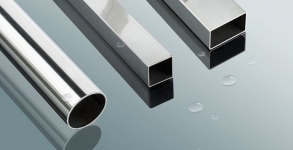 Our main suppliers are the leading stainless steel producers from the Netherlands, Italy, Poland, Germany, Sweden and Finland. Our customers – companies of various industries, choose us for our experience and competence, punctual deliveries and excellent service. 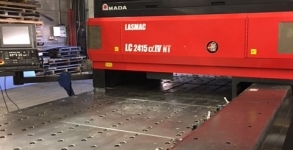 We offer high precision metal laser cutting with our new AMADA LASMAC LC 2415& IV NT. 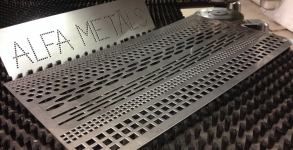 Laser cutting acceptable sheet thickness: Black metal – up to 10.0 mm; Stainless steel – up to 6,0 mm; Aluminum: – up to 6.0 mm. Table size: 1500 mm. Punching acceptable sheet thickness of 0.5 mm to 6 mm, length (X) to 3000 mm, width (Y) to 1000mm. Possible sheet weight to 80kg. 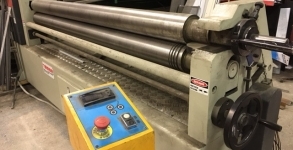 Sheet metal 3 roller. Diam.130 mm. Width: 2000 mm. Max. 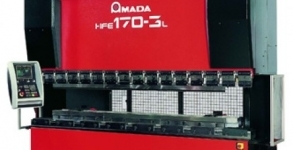 sheet thickness: 6.0 mm. 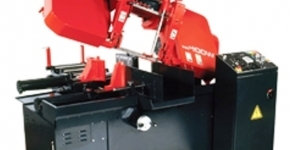 We offer metal sheet bending and guillotine cutting.